Billy Graham Dead at 99. Religious historian and biographer, Grant Wacker, spent time with Graham in his later years. He discusses the man who helped give birth to televangelism. 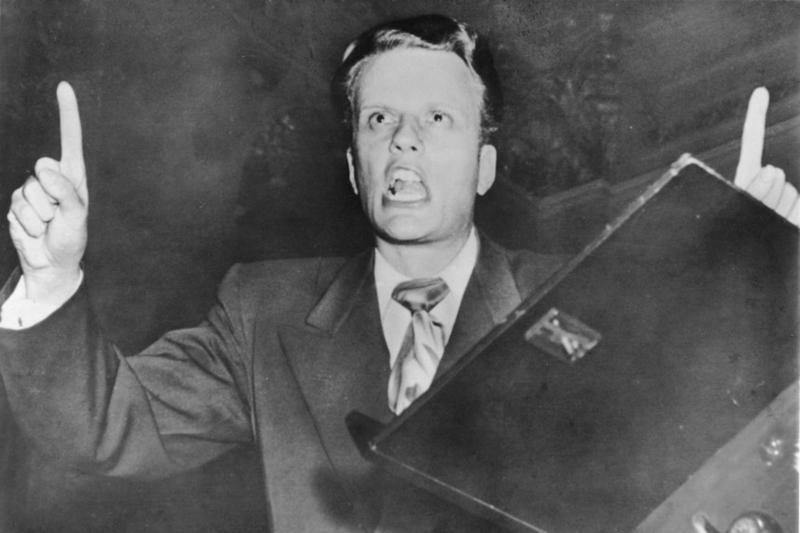 In the late ‘40s, Billy Graham’s crusades filled tents, and his showmanship quickly evolved into what would become televangelism. Graham earned the title “America’s Pastor,” and his sermons reached countless millions in close to 200 countries. A reflection on the late Reverend Billy Graham with religious historian Grant Wacker who authored the book 'America’s Pastor: Billy Graham and the Shaping of a Nation'. 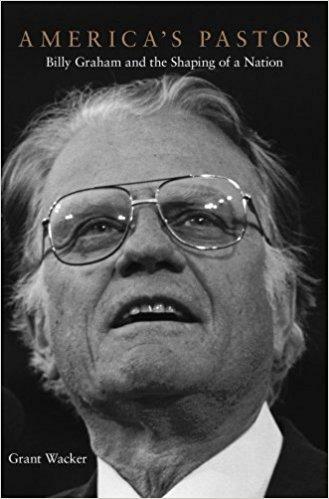 Religious historian Grant Wacker followed the life and career of Billy Graham and authored the book “America’s Pastor: Billy Graham and the Shaping of a Nation” (Harvard University Press/2014). In it he profiles a complicated man who despite publicly supporting Richard Nixon, praying with Bill Clinton and endorsing Mitt Romney for president, also said he believed religion and politics should be separate. Graham was an outspoken opponent of communism with a legacy of controversial anti-Semitic comments, but later in his life he said he regretted not going to Selma and doing more for the Civil Rights Movement. Host Frank Stasio talks with Wacker, Gilbert T. Rowe Professor Emeritus of Christian History at Duke Divinity School, about Graham’s character and impact on Christianity. Grant Wacker made 4 trips to Graham's home over a 4 year period. He calls Graham a man of great humility with a surprising sense of humor. It was a message of a second chance. No matter how much you’ve messed up your life – and most of us have – he argued, he urged, he proclaimed: There is a second chance in Christ. I think that was the very heart of the message. He distanced himself from the Christian right. He said: Pat Robertson, Jerry Falwell are my friends. I agree with parts of their theology. But he said: Number one, they don’t talk enough about poverty and homelessness. Graham himself was basically a moderate Republican, but he felt the Christian right had just missed out on its message. The larger problem with the Christian right though he said: They bring politics into the pulpit. The pulpit is the site for a higher gospel that transcends politics. He rose to fame on radio. He started radio coast-to-coast in 1950. Here he drew on a long tradition of religious radio. But within weeks his “Hour of Decision” as it was called was the most heard religious radio program in the nation, and it remained that way for some 20 years. That was in 1972. And when the tape was exposed 30 years later in 2002, Graham was mortified. And at first he wouldn’t respond to it because he thought it was a hoax. But after three days, he became convinced that it was him himself, and he was mortified. He said: The things I said that day did not represent things I thought then, and they certainly don’t represent what I think now … The only thing I can say is when you’re in the office, the oval office, and you’re – this wasn’t his word – but basically you’re schmoozing with the president of the United States it’s very hard to stop and say: No, Mr. President, you’re wrong. He was proud of what he did do. And what he did do was integrate his crusades starting in 1954, or even ‘52. He made steps in ‘52. In ‘53, he decisively integrated. And he said: There will never again be separated seating in my crusades. That’s a year before Brown v. Board. He said: I’ve always been prepared to die. I have not been prepared to get old. "America's pastor," the Rev. Billy Graham, died on Wednesday at 99. 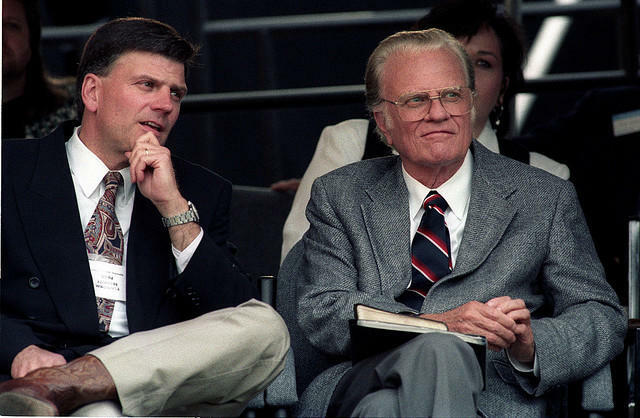 The son of a North Carolina farmer, Graham went on to become an adviser and friend to US presidents, meet face-to-face with dictators and bring the Christian message to millions around the world. At the same time, he had fierce critics and made comments that would be outside the mainstream today. He said AIDS was God’s punishment, though he later apologized, and made anti-Semitic comments to Richard Nixon that he later tried to explain away. 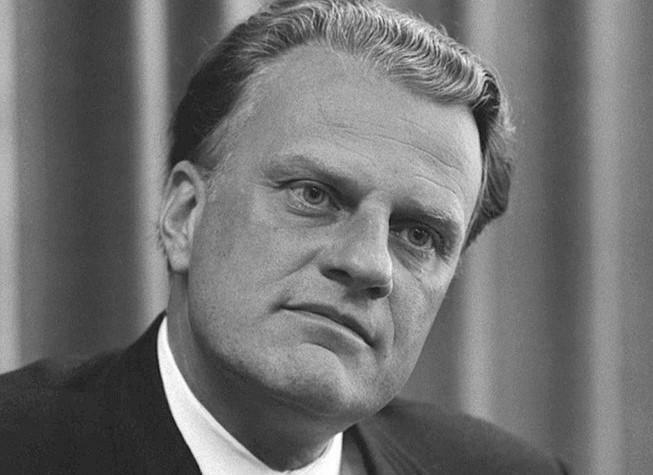 The state House of Representatives voted on Thursday afternoon to send a statue of evangelist Billy Graham to the U.S. Capitol, over objections from Democrats who complained that Republicans refused to consider memorializing any other North Carolinian.